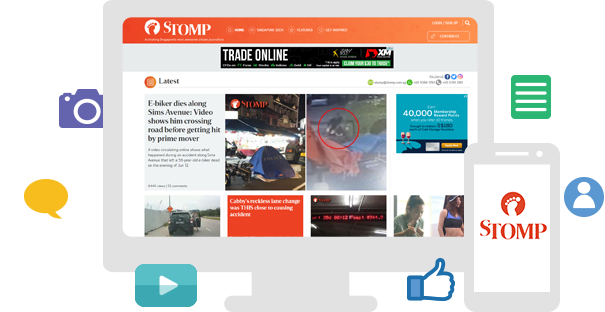 Stomp’s editorial and creative teams work with brands to design rich media content suitable for the social web. 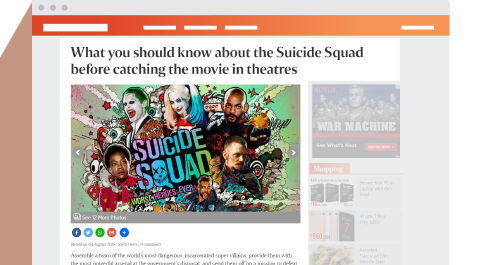 Content ranges from edgy, bizarre, shocking, inspirational, humourous and carries strong User-Generated themes. 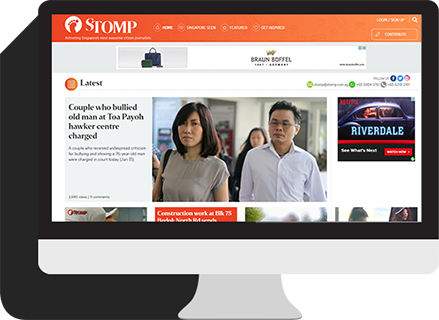 Available in formats like listicles, quizzes, infographics and contests, content is designed in Stomp’s unique tone and style while communicating a brand’s aspirations and themes. 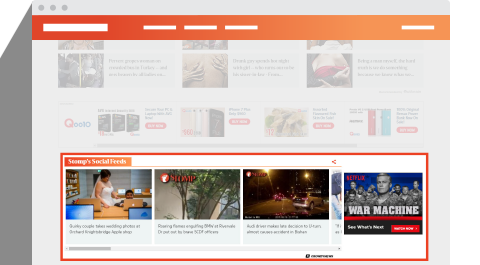 Stomp offers brands great visibility for custom content through native content placements on the site. 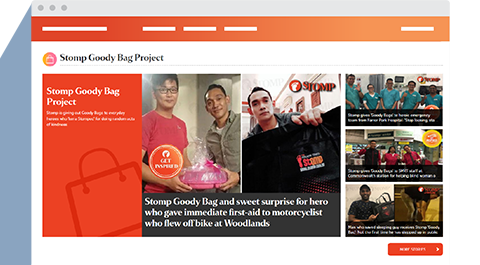 You could be a sponsor for a good cause like Stomp’s ‘Goody Bag Project’ which rewards kind acts by everyday Singaporeans! 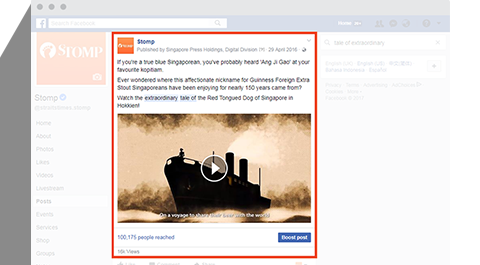 Stomp’s editorial teams work with brands to craft custom social posts for the Singapore audience. Custom social posts are crafted in an authentic Stomp voice that communicates a brand's aspirations and themes, and inspires consumers to share. 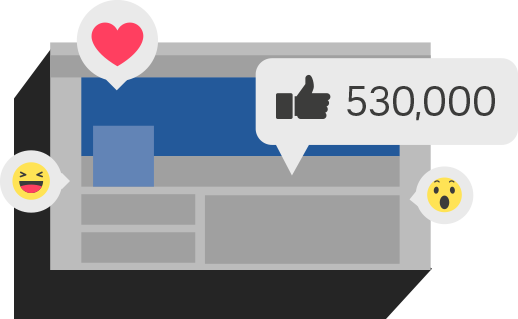 By leveraging on Stomp’s 530,000 followers on Facebook, 199,000 followers on Twitter and 4,000 subscribers on WhatsApp, your custom content will get the amplification it needs. 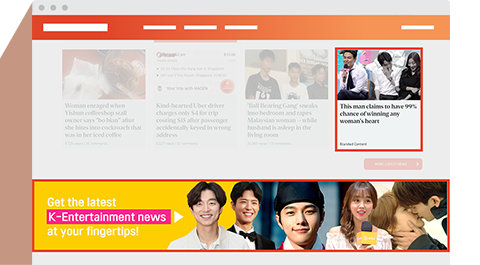 Story units are seamlessly integrated across Stomp and promote branded content on the homepage, site wide, and mobile. The Stomp creative teams works with brands to ensure messages are crafted in Stomp’s unique tone and style while communicating a brand’s aspirations and messages. Stomp’s social media team works with brands to design social campaigns fuelled by user-generated content from social media. 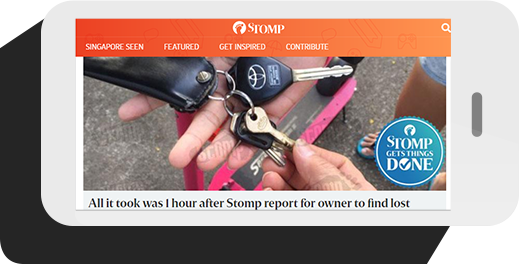 Stomp’s high reach and engagement with its users make creating buzz and talk around your brand on social easy and fun.